Pandora and Edison are siblings who grew up in a dysfunctional family, as children of a father who was a washed up TV star and a mother who may or may not have killed herself. When Pandora gets a call that her brother is short on money and may need some help, she's quick to volunteer her home. When he arrives, she doesn't recognize him, as he has put on a few hundred pounds since they last saw each other. Edison's weight put a strain on his already tense relationship with Pandora's husband, Fletcher. After two months, he delivers an ultimatum and is shocked when Pandora is willing to risk their marriage to try to save Edison from himself. This is straight up literary fiction, so you should go into it without expecting a lot in the way of plot. Pandora's relationship with Edison as well as with her husband, and how those two relationships play off of each other is the main focus of the book. There's a story line to be had, but the main focus of the book is on characterization. With that said, the book is certainly well-written. It is thoughtful and unique and, although it took me longer to read than a book of its length typically would take, I feel enriched for having read it. 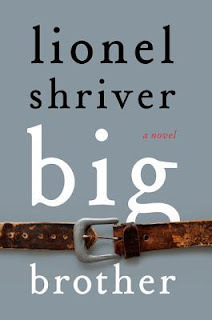 I've reviewed one of Shriver's previous novels, We Need To Talk About Kevin, in a positive light and I consider this one to be just as well done, if a bit less compelling. In my review of WNTTAK, I mentioned the author's characterization and, again, that is what stands out for me in this novel. Her characters are all so believably ambiguous. I read with sympathy and dislike for each character at different times, which is, I think, how we feel about many people in real life. Just as you are starting to really feel like you're on a character' side, he or she does something to get under your skin again. Here's where I have a few words of caution. If you are not a fan of character-driven novels, this isn't for you. I can't lie, it took me about two hundred pages to really start to care about it. And it didn't grab me at any point the way WNTTAK did. The intrigue for me lay in the ideas presented and the characters themselves. The plot was secondary and, because of that, there were many times when I felt ambivalent about reading. I think part of this may have been that the author tries to cover too many issues in a deep, insightful way. We have the social, cultural, personal, and ethical issues surrounding obesity; the relationship between siblings and how that shared history can intrude on a marriage; the issues of blended families; the complicated relationship Pandora and Edison have with both their parents; jazz references; Pandora's ambiguous feelings about her job; competition between spouses and siblings; etc. It was just too much and I felt like some of it could have been taken out to make the book more streamlined. However, I did wind up appreciating the book from an entertainment perspective almost as much as from a writing perspective. It made me think pretty seriously about what I would do in a similar situation. If my husband gave me an ultimatum to either stay with him or take care of Sugar Bear or Buddy, how would I react? Does birth order play a role (it does for Pandora and Edison)? How far would I strain my marriage for a sibling? Also, I found the competitive dynamic between Fletcher and Edison to be interesting. I know there have been times we've spent with my siblings where my husband has felt left out of our shared history. So I could relate to Fletcher's feelings of jealousy in "losing" his wife to her brother. If you're into character-driven works of literary fiction, this is a great choice. Don't pick it up as a quick beach read, though. It requires a reader's full attention and can be laborious reading at times. 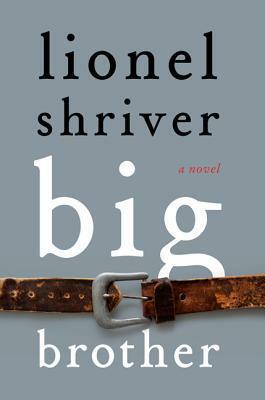 The sibling relationship is fascinating as is the book's examination of obesity. Thanks to TLC for providing me a copy to review. You can click here to see the rest of the blogs participating in the tour. I have also read WNTTAK and thought amazing discussion book. I have read a few reviews and this one is intriguing me. I would agree with her style that it is not a quick read and needs full attention.